Sheri has been a member of NorthPark since 1962. She’s what we call a ‘NorthPark Lifer’, because she’s been serving in our church her entire life! 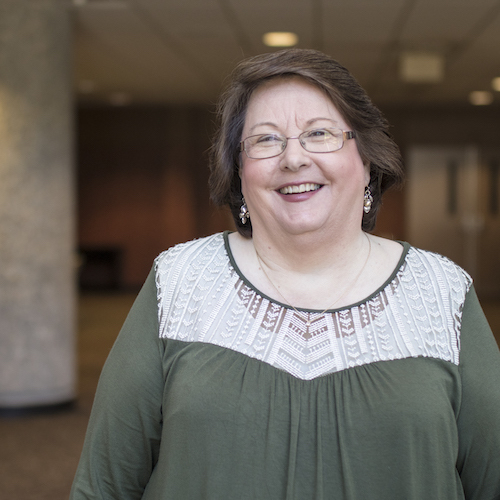 She came on board as a team member 20 years ago and uses her talent to assist the Pre-School, Children, and Student Ministries in NorthPark (this means that she spends her time keeping the other ministers in line!) Sheri and her husband, Gary, have one son, Blake, and a dog, Shadi.